334 pages and hundreds of illustrations in a hardback volume with dust-jacket. Contains a cumulative index for all five volumes. 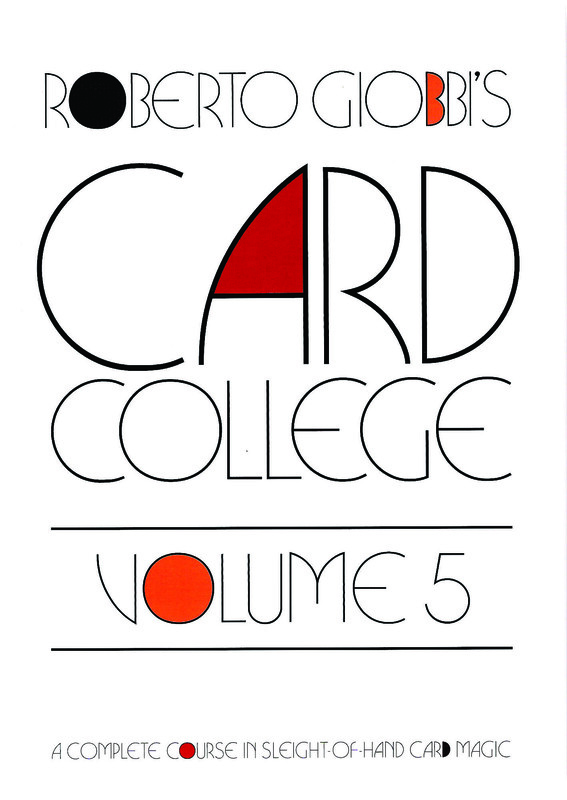 In this, the fifth volume of the Card College series, Roberto Giobbi has prepared a graduation party. In previous volumes the reader has been given a remarkable collection of tools for creating astonishing card magic. 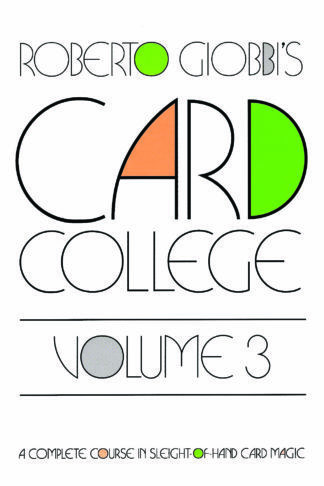 In the same vein, Volume 5 begins with a meaty chapter of new techniques and strategies, which include methods for covertly arranging stacks during performance, obtaining a duplicate of a spectator’s signature without his knowledge, and secretly conveying cards to and from the deck—powerful tools indeed. 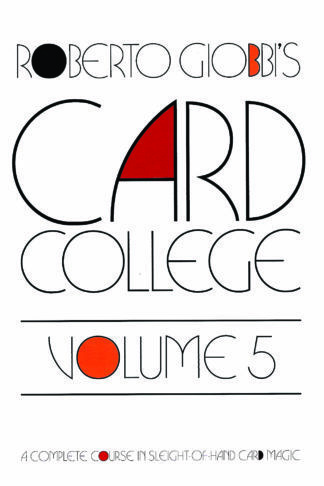 But then Volume 5 diverges from the established Card College formula. 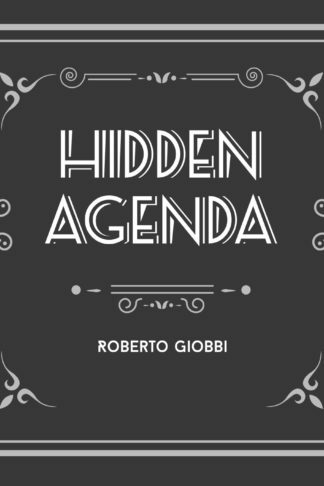 Judging that the reader now has more than a sufficient number of tools in his grasp, Mr. Giobbi provides eight chapters filled with tricks and routines that illustrate how various techniques are applied to create world-class card magic. These effects, however, are not mere constructions meant for teaching. 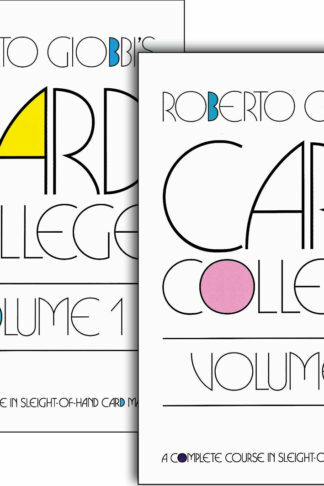 Most have been drawn from Roberto Giobbi’s professional repertoire—and because of this, even the classics of card magic are given a fresh gleam as Giobbi adds refinements won from years of performing experience. His choice of material is impeccable, featuring not only original effects and handlings of his own, but tricks and routines by world-masters as well. One finds such gems as Fred Kaps’s presentation for The Signed Card in Box, along with Giobbi’s cunning treatment of this modern classic, Henry Christ’s fabulous Ace routine and a superb handling of a forgotten masterpiece by Charlie Miller. And everything is taught with the clarity and attention to detail for which the Card College series has become known. Open this book and welcome to the party—Prepare to graduate! 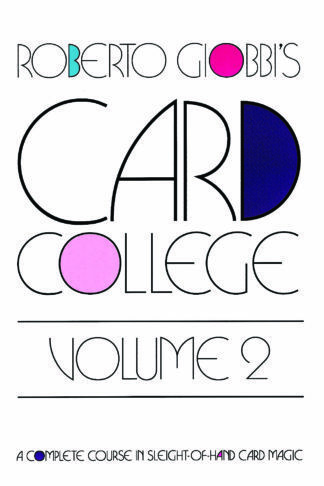 The largest Card College volume yet—334 pages and hundreds of illustrations. Contains a cumulative index for all five volumes.